It is never too often said that the priesthood is indispensable to the Church, in the very own interest of the lay faithful. Priests are a gift from God to the Church. 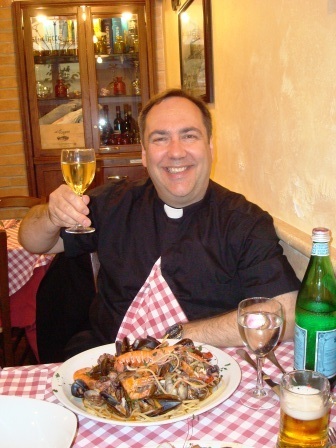 Priests must never delegate to the faithful [those] functions which are related to their own mission.Dear Brothers in the episcopacy, I ask you to remain desirous to help your priests live in intimate union with Christ. Their spiritual life is the foundation of their apostolic life. You shall exhort them gently to daily prayer and to a dignified celebration of the Sacraments, particularly of the Eucharist and of Reconciliation, as Saint Francis de Sales did with his priests. 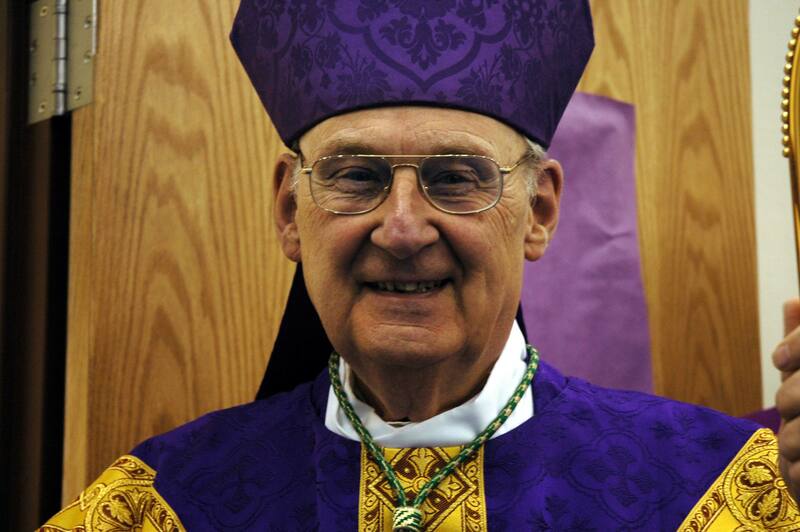 Every priest should be able to feel glad to serve the Church. At the school of the Curé d’Ars, son of your land and patron of all priests of the world, do not cease to repeat that a man can do no greater deed than to give the Body and the Blood of Christ to the faithful, and to forgive sins. Liturgical worship is the supreme expression of priestly and episcopal life, and also of catechetical teaching. Your mission of sanctification of the faithful people, dear Brothers, is indispensable for the growth of the Church. I was prompted to detail, in the Motu proprio Summorum Pontificum, the conditions for the accomplishment of this mission, in that which relates to the possibility of using both the missal of Blessed John XXIII (1962) and that of Pope Paul VI (1970). The fruits of these new dispositions have already seen [the light of] day, and I hope that the indispensable pacification of the spirits is being accomplished, thank God. I comprehend your difficulties, but I do not doubt that you will be able to reach, within reasonable time, solutions which are satisfactory to all, so that the seamless robe of Christ is not torn anymore. No one is excessive within the Church. Everyone, without exception, must be able to feel at home, and never rejected. God, who loves all men and wills that no one be lost, entrusts us with this mission of Pastors, making us Shepherds of His sheep. We can only give Him thanks for the honor and the confidence He places upon us. Let us endeavor to always be servants of unity. 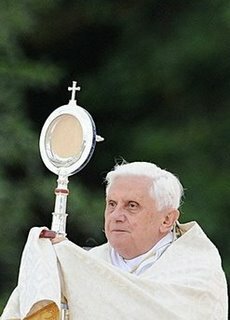 EN ROUTE TO PARIS, SEPT. 12, 2008 (Zenit.org).- An allowance for the celebration of Mass according to the 1962 Missal is in no way a return to the past, but rather an expression of pastoral concern, says Benedict XVI. The Pope affirmed this today en route to France; he gave a brief press conference on the plane, answering four questions previously submitted by the journalists selected to be in the press corps accompanying the Holy Father. The Pontiff said it is “groundless” to fear that “Summorum Pontificum” — which opened the way for a wider celebration of the Mass according to the 1962 Missal — is a regression. Previously, the Holy Father answered a question about secularism and the lay state. “It seems evident to me that laicism is not in contradiction with the faith,” the Pontiff said. “I would even say that it is a fruit of the faith, since the Christian faith was, from the beginning, a universal religion and therefore, did not identify itself with a state but was present in all states. Lastly, the Pope spoke of the principal motive for his visit: the 150th anniversary of the apparitions of the Virgin Mary at Lourdes. 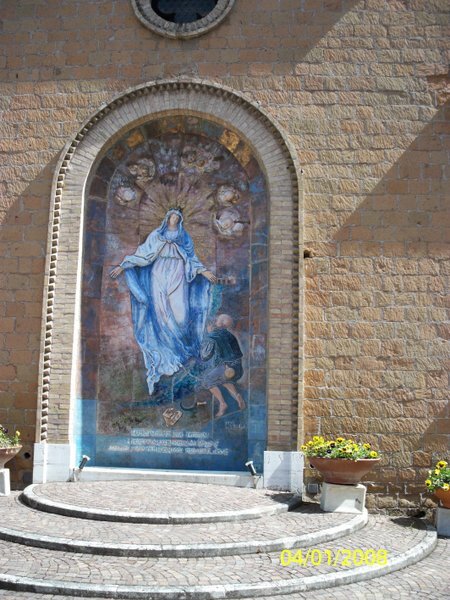 He noted that the liturgical feast of the visionary, St. Bernadette, is also his birthday. “For this reason, I feel very close to this little saint, this little child, pure, humble, who spoke with the Virgin,” he said. “To encounter this reality, this presence of the Virgin in our era, to see the footsteps of this little youth who was a friend of the Virgin, and on the other hand, to encounter the Virgin, her mother, is on the other hand a very important event for me. 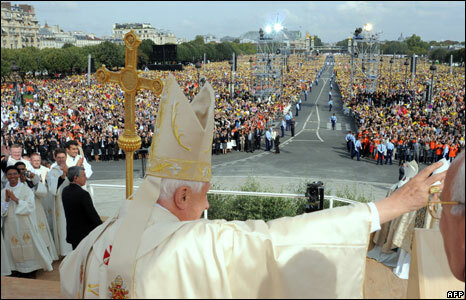 Upon his arrival to Paris, Benedict XVI was greeted by the pealing of the bells of the churches. A smiling President Nicolas Sarkozy received him at the airport, introducing the Pope to members of his family; the two also exchanged gifts. This was followed by the Pope’s address in the Elysee’s great hall of celebrations to members of the government, parliamentarians and bishops. 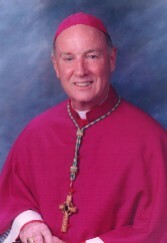 Wilmington, Sep. 9, 2008 (CWNews.com) – Sen. Joseph Biden did not attend the September 8 installation Mass of Bishop W. Francis Malooly, the new leader of the Wilmington, Delaware diocese where the Democratic vice-presidential candidate lives. 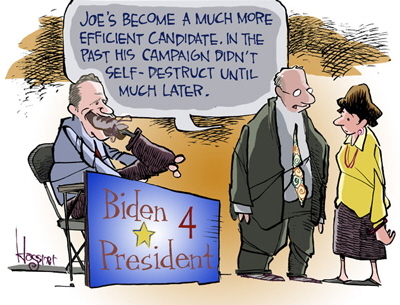 Biden was in Wilmington on Monday morning, but left later in the day for a campaign appearance in Wisconsin, thus avoiding a potential showdown with his new bishop. 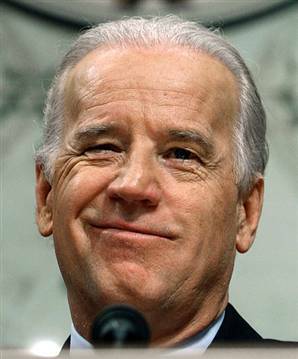 There was no indication– either from the senator or from the diocese– whether Biden had originally planned to attend the afternoon installation. We will continue to stress the constant teaching of the Church that each person must respect every life from conception to natural death. And we will continue to seek the intercession of Saint Thomas More for Statesmen, Politicians, Supreme Court Justices, Judges and Lawyers—that they may be courageous and effective in defending and promoting the sanctity of human life, the foundation of every human right, the foundation of our love for the poor. If we claim to be Catholic, then American Catholics, including public officials who describe themselves as Catholic, need to act accordingly. CARMEL, INDIANA June 19, 2008 – The first Solemn High Mass in forty years within the Carmel Deanery will be held at St. Elizabeth Ann Seton on Sunday, June 22nd at 2:00 PM. A potluck will follow the Mass. Please bring a dish and your appetite. This ancient Mass of St. Gregory the Great also called the Gregorian Mass, Traditional Latin Mass or Tridentine Mass will be offered by the newly ordained Father Jonathan Romanowski, FSSP. 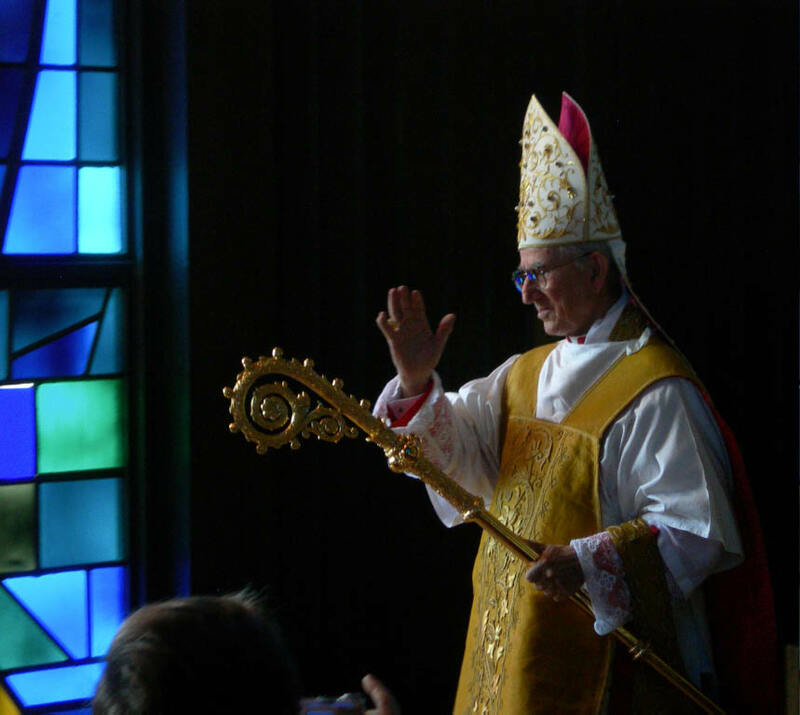 Father Romanowski was ordained on May 30th by Darío Cardinal Castrillón Hoyos who is the president of the Pontifical Commission Ecclesia Dei. 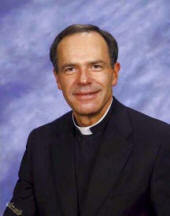 Father Romanowski is a fine product of Our Lady of Guadalupe in Denton, Nebraska. St. Gregory the Great (540 AD – 604 AD) is also known as Gregory the Dialogist (Gregorios Dialogos) and Saint Pope Gregory in Eastern Orthodoxy because of the Dialogues he wrote. He was the first of the Popes from a monastic background. Gregory is a Doctor of the Church and one of the four great Latin Fathers of the Church (the others being Ambrose, Augustine, and Jerome). Of all popes, Gregory I had the most influence on the early medieval church. Under the continuing support of His Excellency, WIlliam Leo Higi, the Carmel Deanery lead by Father Theodore Rothrock and Una Voce Carmel has developed St. Elizabeth Ann Seton in Carmel, Indiana to be the focal point for the Traditional Latin Masses in the deanery. The Carmel Deanery has ten parishes in two counties which are the northern suburbs of Indianapolis, Indiana. The deanery is comprised of 13,800 families. The diocese through the deanery has supported our very own Father Christopher Roberts in his endeavor to master the Traditional Latin Mass. 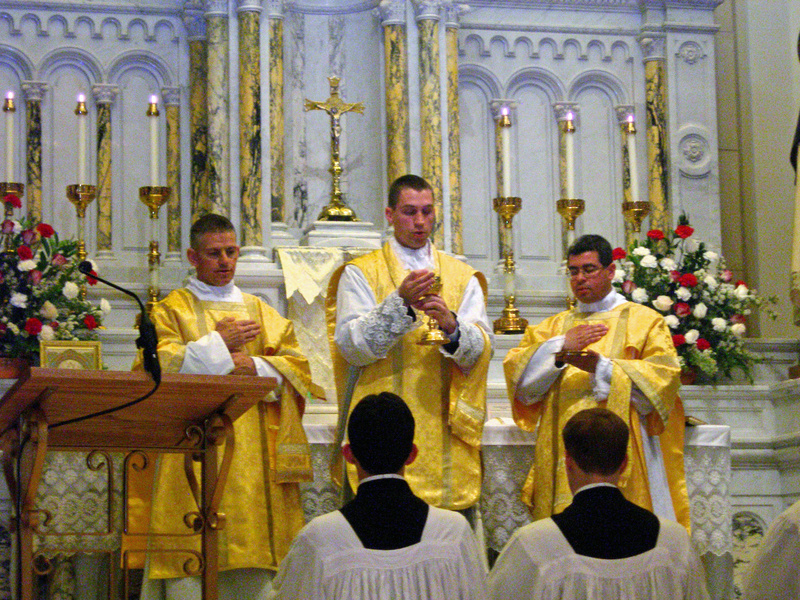 Father Roberts attended the workshop at St. John Cantius in May and offered his first Mass at St. Ellizabeth Ann Seton in the deanery on June 1st. Tuesday, July 1 at 7am. Father Rothrock has provided three unique means of Catholic worship at the chapel in St. Elizabeth Ann Seton parish for the entire Carmel Deanery. On every weekday, one can attend the Mass as per the 1970 Roman Missal. Since May, 2005, on some Saturday late afternnons, one can attend the Divine Liturgy of St. John Chrysostom made possible by Father Sid Sidor from the Byzantine Rite parish, St. Athanasius in Indianapolis. And on every Sunday late afternoon, one can assist Mass as per the 1962 Roman Missal offered by priests from The Institute of Christ the King, The Priestly Fraternity of St. Peter and Father Roberts from the deanery. Amman, June 9 (DPA) Archaeologists in Jordan have discovered what they claimed to be the ‘oldest Catholic church in world’ at Rihab, 40 km north-east of Amman, the Jordan Times reported Monday. ‘We have uncovered what we believe to be the oldest Catholic church in the world, dating from 33AD to 70AD,’ Abdul Qader Hassan, head of the Rihab Centre for Archaeological Studies told the paper. 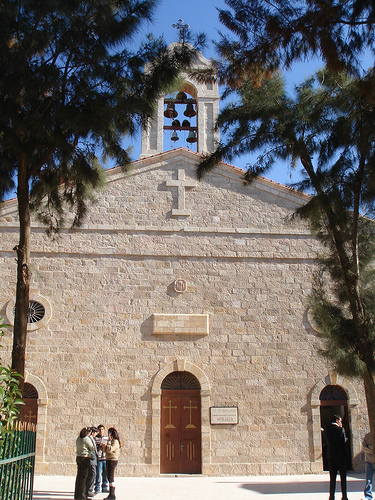 The discovery lying underneath Saint Georgeous Church in Rihab is ‘amazing, because we have evidence to believe this church sheltered the early Christians, the 70 disciples of Jesus Christ’, he said. The early Christians, described in the mosaic inscription on the floor of St Georgeous as ‘the 70 beloved by God and Divine,’ are said to have fled from Jerusalem during the persecution of Christians to the northern part of Jordan, particularly to Rihab, he added. Citing historical sources, Hassan said the 70 lived and practised their rituals in secrecy in this underground church. ‘We believe that they did not leave the cave and lived until the Christian religion was embraced by Roman rulers,’ he added. ‘It was then St Georgeous Church was built,’ he said. The findings in the graveyard near the cave offer valuable clues, according to the Jordanian archaeological expert. ‘We found pottery items that date back from the 3rd to 7th century. The findings show that the first Christians and their offspring continued living in the area until the late Roman rule,’ he said. ‘Going down a few steps into the cave, one would see a circle shape area, believed to be the apse, and several stone seats for the ecclesiastics,’ he added. Archimandrite Nektarious, Bishop Deputy of the Greek Orthodox Archdiocese, described the discovery of the cave as an ‘important milestone for Christians all around the world’. 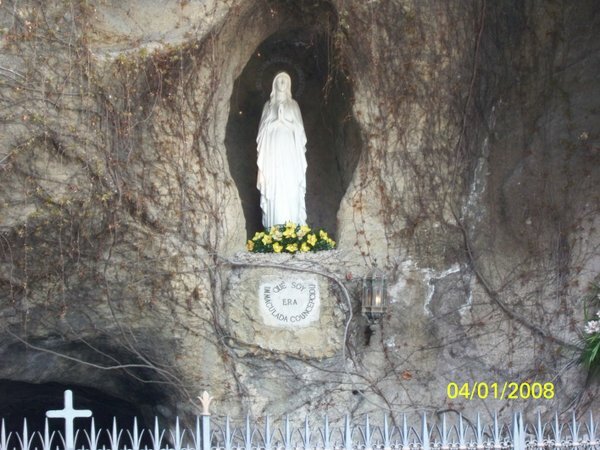 ‘The only other cave in the world similar in shape and purpose is in Thessalonica, Greece,’ Jordan Times quoted the bishop as saying. Officials at the Jordanian Ministry of Tourism said they planned to capitalise on the discovery to further promote the area to become a major tourist attraction in the near future. 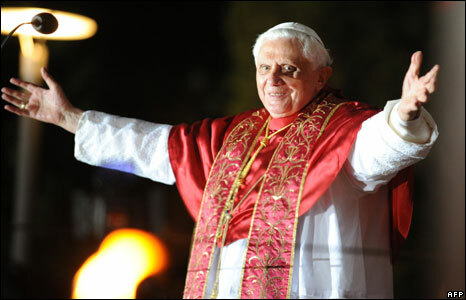 Vatican City, Jun 10, 2008 / 01:40 am (CNA).- Pope Benedict XVI will meet with President George W. Bush in a restored medieval tower on Friday. 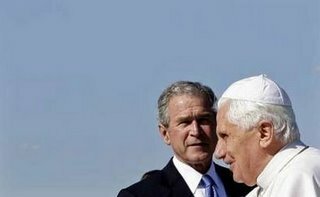 Vatican spokesman Federico Lombardi said the unusual venue was chosen to repay Bush for “the cordiality of the meeting at the White House” during the Pope’s U.S. visit in April. Although the Pope usually receives heads of state in his private study in the Apostolic Palace, overlooking St. Peter’s Square, the upcoming meeting will take place on the upper deck of St. John’s tower, a round structure on a hilltop inside the Vatican gardens. 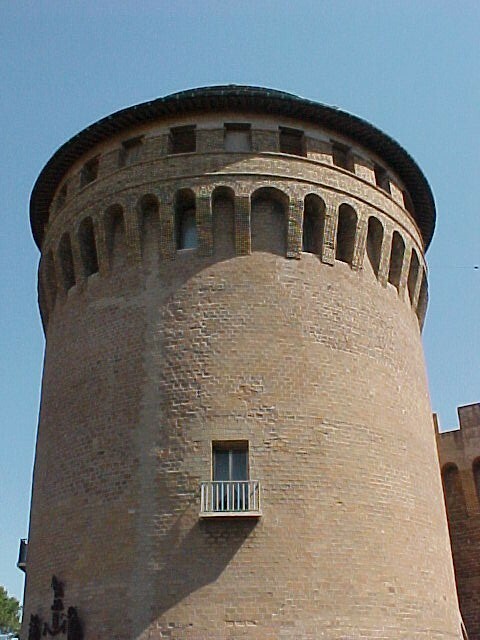 The tower, which Pope John XXIII restored the tower as a place he could work in peace, is sometimes used as a residence for important guests. 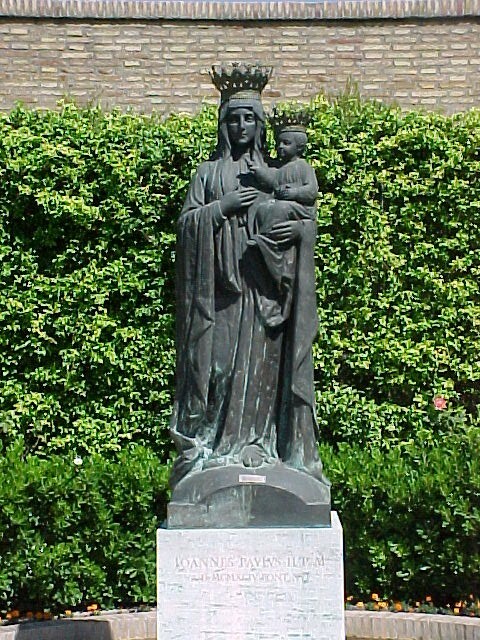 After their private talks, President Bush and Pope Benedict will walk in the gardens to see a statue of the Madonna. 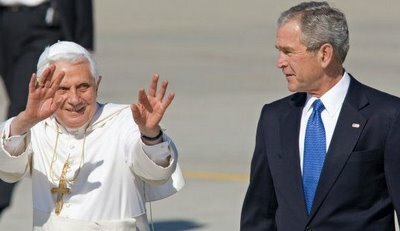 President Bush will be in Rome from Wednesday until Friday. He will also tour Slovenia, Germany, Italy, France and Britain.